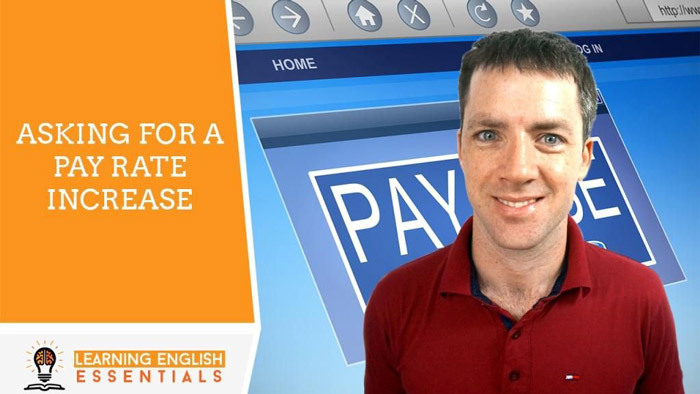 In this video of the English Conversation Topics series, I take you through an English conversation for asking an employer about a pay rise. A: Hello Ms. Sara. Do you have a few minutes to talk? B: Hello John. Yes I have a few minutes to talk. What’s on your mind? A: I would like to discuss an increase to my hourly rate of pay. B: Okay, let’s talk about it. What are you thinking? A: I have been working for you for a long time, my work is always high quality and I work very quickly. B: I agree with all of those things. A: I would like to suggest a pay increase to keep my hourly rate consistent with the market rate for my services. B: What do you suggest the rate should be? A: I thought an extra $1 per hour would be a fair increase. B: Your work has been exceptional thus far and you produce work very quickly. Will I still receive excellent value at the higher price? A: I certainly assure you that you will still receive excellent value for money. B: I am certain that I will too. I accept your proposed new rate of pay. A: Thank you very much Ms. Sara. B: You’re welcome John. I will adjust your rate in your contract so you can start billing at your new rate. I look forward to continuing to work with you in the future.